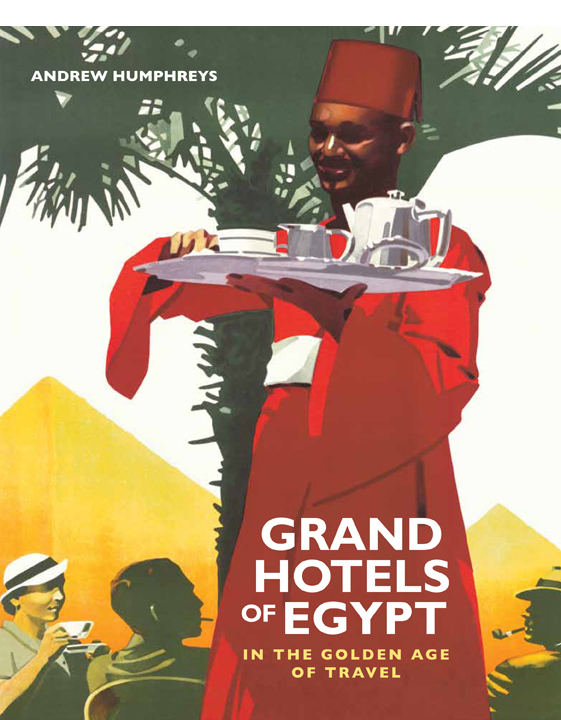 To reflect the fact that Grand Hotels of Egypt will soon by joined by On the Nile – which has now gone to print, although I don’t as yet have a publication date – I’ve changed the name of the site: you are now reading ‘Egypt in the Golden Age of Travel’. The website address stays the same though. I’ve also added a new page devoted to the forthcoming book, with a link posted up above: if you click there you’ll see some sample pages. 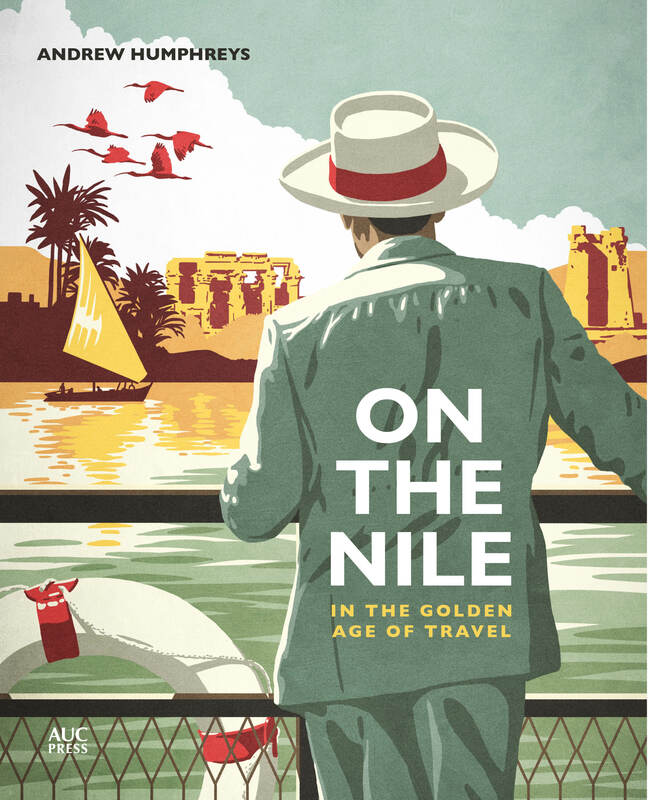 To tell you a little more about On the Nile, or to give it its full title On the Nile in the Golden Age of Travel, the book traces the evolution of the Nile cruise business, starting in 1869 with the very first tour to Egypt led by Thomas Cook. 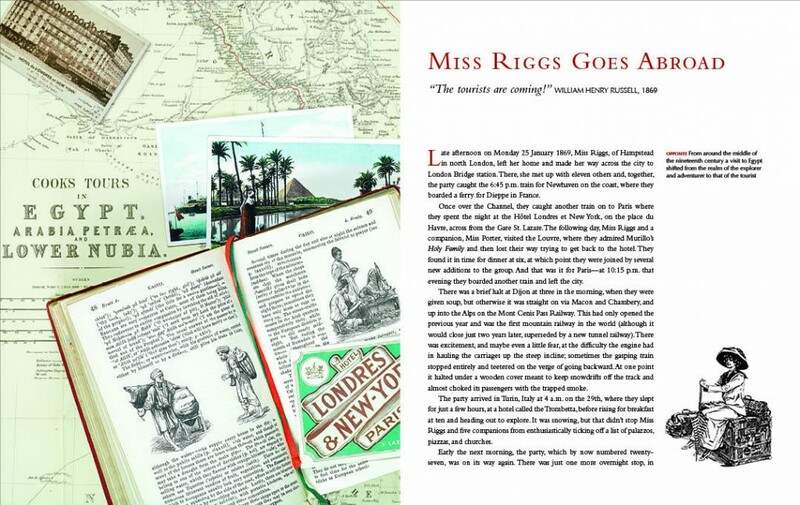 One of the passengers on this maiden voyage was a Miss Riggs of Hampstead, England, whose unpublished diary survives and who serves as our guide from London Bridge to Calais via Paris and Turin to Brindisi and across the Mediterranean to Alexandria in Egypt. From there the party of 30, led by Cook himself, continues on to Cairo to board a pair of belching steamers leased from the khedive. And so they set off up river for Luxor and Aswan, sailing in the wake of the Prince and Princess of Wales, who coincidentally happen to be on the Nile at the same time (and are not at all happy at being pursued by ‘tourists’). 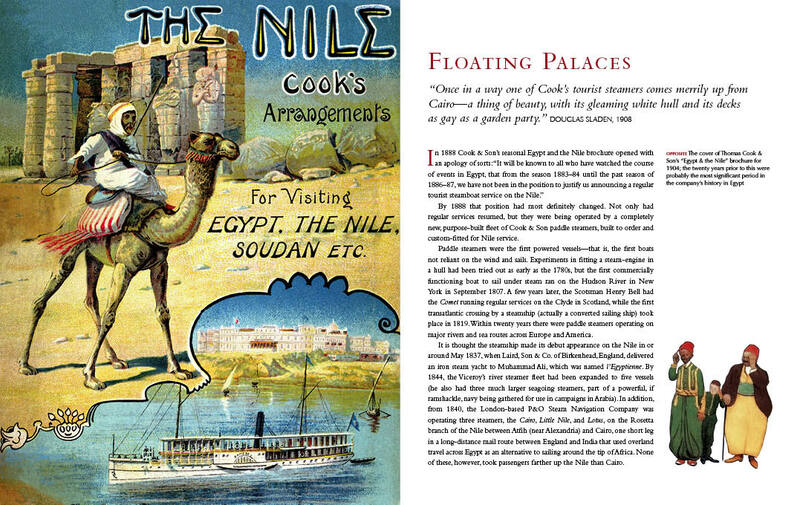 The second chapter backtracks to the time before steam, and describes the passage of earlier travellers up the Nile aboard the graceful sailboats known as dahabiyas, an era when goats (for milk) and pianos (for evening entertainment) were considered essential bits of river kit. 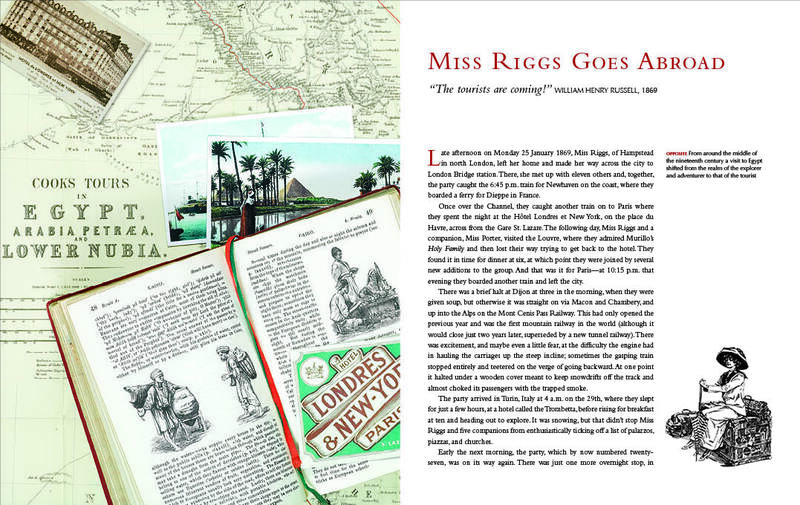 We then jump forward again to Thomas Cook’s equally historic, second organised tour to Egypt, which was to the inaugural celebrations marking the opening of the Suez Canal. 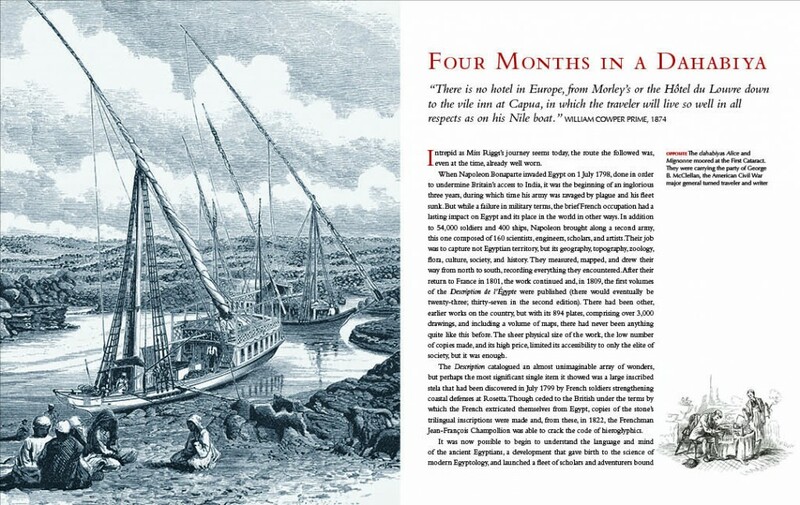 The book then charts the growth of Cook’s business in Egypt, to the point where, within ten years, his company – now managed by his son John – enjoyed a monopoly on all Nile passenger traffic and the subsequent temporary loss of that business as Cook’s fleet is diverted to the task of ferrying an Anglo-Egyptian army tens of thousands strong in an effort to rescue General Charles Gordon in Khartoum. 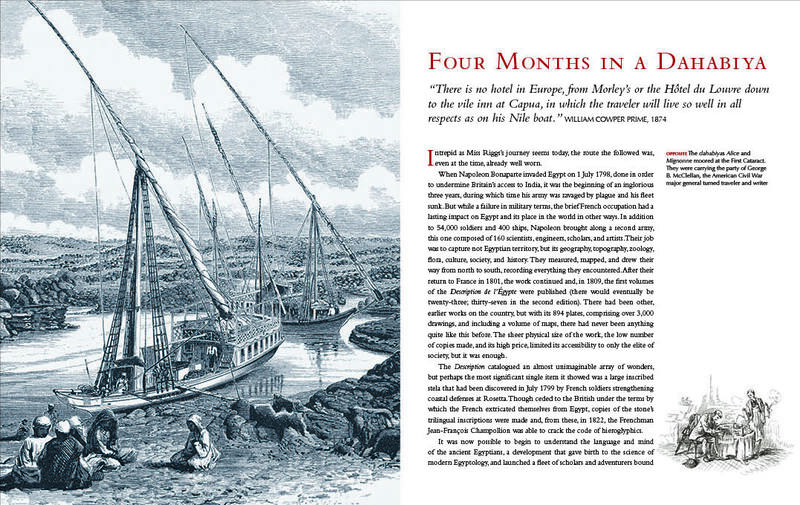 Chapter five deals with the aftermath of the Sudan campaign, when Cook & Son set about building itself a fantastic new Nile fleet of (largely) Scottish-built steamers, finer than anything ever seen on the Nile before – ‘floating palaces’ is how they were described. A subsequent chapter explores what life was like aboard for those with money and leisure time enough to book a cabin. This is the period from the mid 1880s through to the first decade of the 20th century, when a three-week voyage from Cairo up to Aswan and back was just about the most exciting and luxurious thing imaginable. 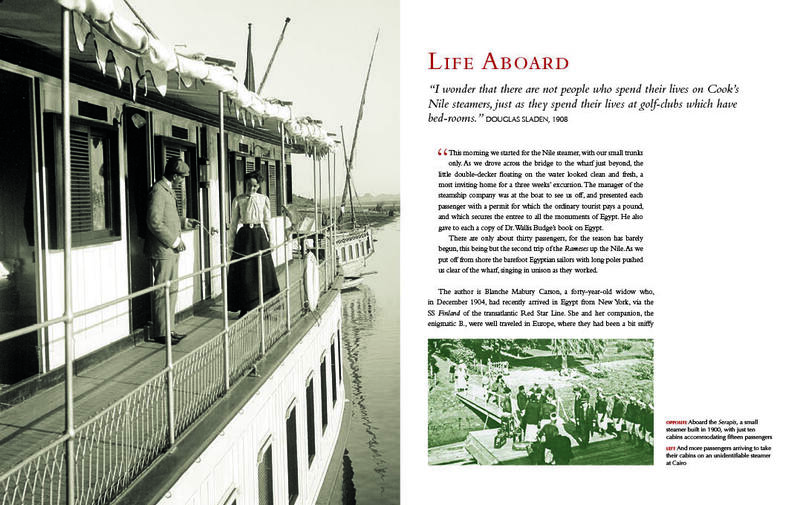 From the comfort of a wicker chair on the sun deck, passengers could observe a scrolling panorama of palm groves, desert, and mountains, not to mention the magnificent monuments of the ancient pharaohs, many of which were conveniently sited right on the banks of the river. And if one should tire of the landscapes, temples, tombs and donkey rides, there were always one’s fellow travelers to provide distraction and amusement. There was the interruption of the First World War but normal service resumed soon after when tourism to Egypt received a huge boost from the discovery of the tomb of Tutankhamun. 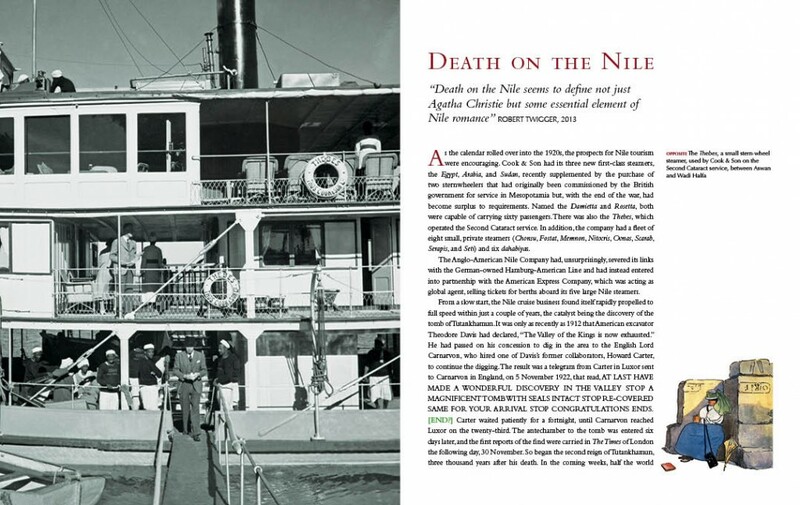 The glamour and intrigue were heightened in the 1930s thanks to the role of the Nile steamer in Agatha Christie’s best-selling Death on the Nile. 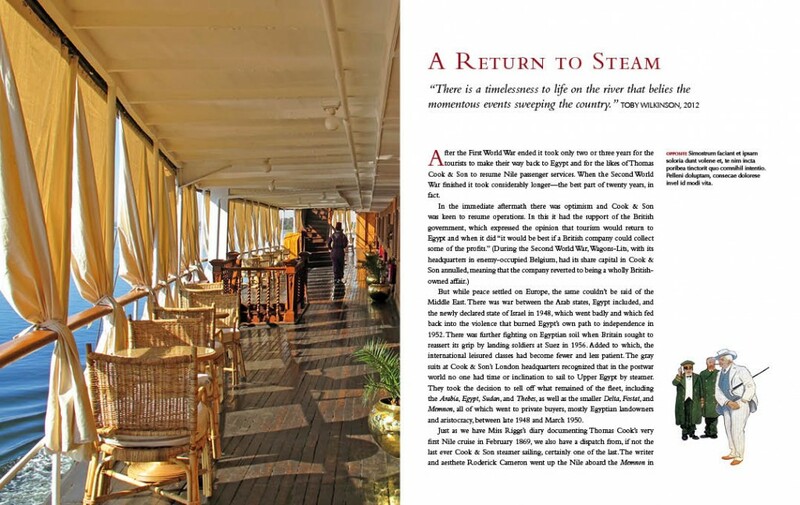 Although the Second World War and the turbulence in Egypt that followed brought to an end the era of the Nile steamer, there were survivors. The final chapter of the book discovers what happened to the boats when they were retired from regular service. Some became floating homes, others floating hotels; some were used in the Nubian Salvage Mission to aid in the rescue of ancient monuments from the rising waters of Lake Nasser, created by the construction of the Aswan dam in the 1960s. Many were left to decay on the banks of the river. Just one survives as a working passenger steamer. The very last section of the book is an appendix that takes the form of an A to Z (from Amasis to Zinat al-Nil) of all the boats there were at one time or another in the Nile fleets of Thomas Cook & Son and the Anglo-American Nile Company. I’ve had great fun researching and writing the book, and my partner and collaborator Gadi Farfour has done a brilliant job of sourcing images. It contains a lot of never-before-published photography and some stunning illustrations. I can’t wait to see it in print.